[PDF] Gluten-Free & Vegan for the Whole Family: Nutritious Plant-Based Meals and Snacks Everyone Will Love | Free eBooks Download - EBOOKEE! Description: With food allergies and sensitivities continuing to rise, particularly among children, and more people embracing the health benefits of a plant-based diet, these delicious and nutritious recipes are egg-free, dairy-free, gluten-free, and mostly soy-free, and will satisfy even the pickiest eater at the table. Arranged by meals (including snacks), these 90 kid-friendly recipes will make planning easy, and simplify cooking gluten-free and vegan food for the entire family. Nutritionist Raven Bonnar-Pizzorno writes the foreword, giving the recipes her stamp of approval for both kids and adults. 2017-12-12[PDF] Advice on Home landscape design: Landscape design properly, as a source of entertainment for the whole family to help improve the community and help increase the resale value of your property. 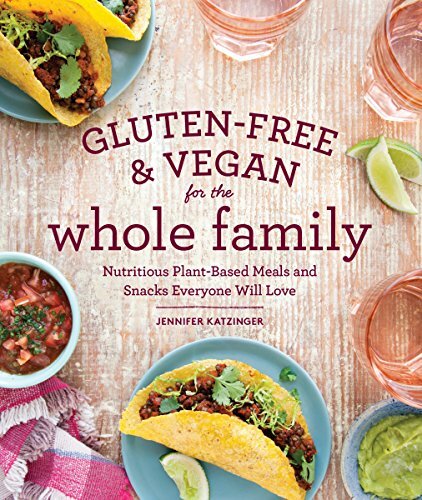 No comments for "[PDF] Gluten-Free & Vegan for the Whole Family: Nutritious Plant-Based Meals and Snacks Everyone Will Love".